We are once again seeing an increase in student-led activism across the country, a tradition with a strong history, even in the face of equally strong opposition. There is a great legacy of student- and youth-led activism in the United States. But we are often tempted to romanticize bygone eras, thinking today's efforts are lackluster in comparison. But there are striking parallels between today's student racial justice movements and those of our history--including in how they are perceived by the dominant culture of their day. On February 1, 1960, having stayed up late in their dorms discussing recent personal racial indignities they had faced, four college freshmen decided to stage a lunch counter sit-in in Greensboro, NC. That evening, they returned to campus and recruited even more students to join them at the Woolworth's five-and-dime the next day. The movement grew daily with students from the many surrounding universities taking part. By the 4th day, more than 300 people had joined in, and the tactic had caught on across the country. Shortly thereafter, inspired by the efforts in Greensboro, the Student Nonviolent Coordinating Committee (SNCC) was founded (though to that point many independent actions had been staged without the need for a formal organization). The student movement was careful to maintain its independence from the established leadership of Martin Luther King Jr. and the Southern Christian Leadership Conference (SCLC), They partnered on many events, but they were their own organization. SNCC, and other student groups like it across the country, placed a high value on consensus building and participatory democracy, avoiding centralized leadership and 'top down' control. When the Freedom Rides began, they were initially sponsored by the Congress of Racial Equality, but when the buses were violently attacked in Alabama, the action was put on hold . It was the students that resolved to finish the ride, at great risk to themselves, allowing the movement to grow. Time and again over the years of their work, the youth were told that their methods were foolish, that they were being too radical, that they should be more patient and work within the system. They were often told to tone down their language and to speak and act calmly. Instead, they continued to disrupt daily life for every-day citizens across the country. They tormented local businesses, costing them significant revenue. 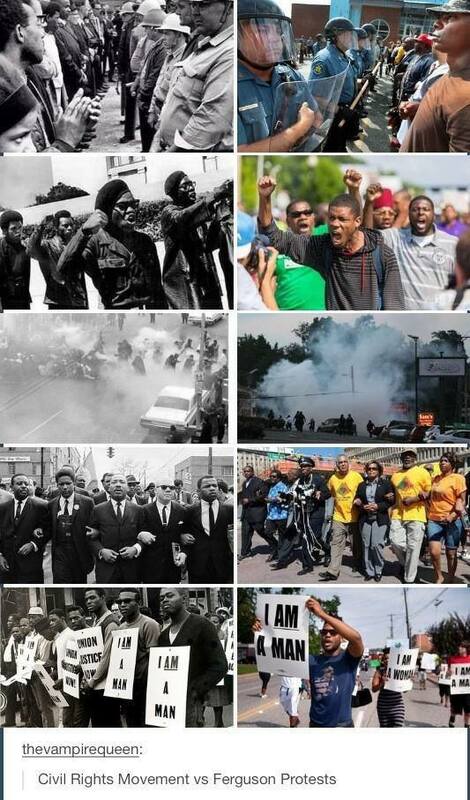 They broke laws, they disrespected authority. To show the outrageous use of force that the established power was willing to inflict, these youth risked prison, police violence, and death. They leveraged new media technology so that the nation could see these actions play out in living color on their own television sets. Of note, even though SNCC eventually came to see him as the 'old establishment' of the movement, Dr. King himself was only 26 when he led the Montgomery bus boycott, having only just finished graduate school earlier that same year. What if the Church had decided he was too young to lead? What if they had dismissed him and asked him come back when he had more experience? Dr. King wasn't even 30 years old when he helped found the Southern Christian Leadership Conference (SCLC). Indeed, he was 27 when his house was bombed by the KKK. Malcolm X was 28 when he was appointed to Mosque No. 7 in New York. The same Civil Right movement that we sometimes remember as mature or stoic, was in reality young, passionate, and vibrate. Much like our youth movements today. Today, we have groups like the Ohio Students Association, which has led the protests for John Crawford (as well as for police reform across their state). We have Ferguson Action, which leverages the emerging media of today's world to spread the growing protest movement. Instead of sit-ins, they're hosting die-ins. Instead of buttons, they're using hashtags. And like those four freshmen in Greensboro, their actions are not the result of years of training, but rather spring out of felt need in the moment. Like their predecessors, they too are also being told they are too radical, too disruptive. They too are being told to step down and go quietly. Like SNCC and others, our young activists today also express a wariness of the establishment and of the old methods of protest that may have run their course. Their fresh perspective is helping innovate and to creatively construct next steps for us to take as a nation. And like those that came before them, today's students are making tremendous personal sacrifices for the sake of the movement. We must remember to listen closely to what they have to say. After all, the very Lord and Savior who died for our sins, was barely 30 when he did so. Was He too young to lead?? We must trust the observations of our young movement leaders and learn from their lived experiences. Otherwise, we might never even realize we've let the movement pass us by.